A Kiwi Christmas is a most curious thing. Firstly, how on earth does Santa (if you even believe in him that is) on his sleigh manage to navigate his way around our hot, hot summer evenings? There's not a drop of snow in sight, he's dressed in a furry red suit top to toe which must be baking hot, not to mention that gigantic beard covering his entire face. Secondly, our Christmas tree lights are only good for about an hour a night when it is actually dark enough to appreciate them. And that's only if you didn't buy el cheapo Warehouse fairy lights like us. The ones that it took two purchases before they'd even work at all. And the ones that did finally work, apparently these ones you're only meant to see in the pitch dark cos you can barely make them out otherwise. Lights, what lights?! And you can forget hanging chocolates on our Christmas tree, they'd all be melted by 10.30 in the morning. So, instead, we embrace a whole other version of Christmas. A version where BBQs and jandals, cold beers and a lazy afternoon by the pool or at the beach are the norm. And if we're having a good summer the pohutukawa trees are flowering by then and we can rightly claim our very own Kiwi Christmas has arrived. I'm fortunate to have experienced a few topsy-turvy versions (aka the Northern Hemisphere Christmas). And on one hand it felt right. It was freezing cold and dark at 4pm so the Christmas tree lights lit up the room thereafter, and snow was always forecast but rarely arrived for the big day. The huge Christmas turkey came out with more food than you can shake a fist at, and there was a roaring gas fire to doze next to for the afternoon after eating way too much. But somehow when it's not what you're used to, you yearn for what you know. To kick a ball around outside after a Christmas ham and salad, to run around in your togs all day just because you can. To stay up late sitting outside because the nights are so long and the air so balmy. The thought of snow never even crosses your mind. Or does it? This year, I've loved the extra craft activities I've been inspired to do. There was that advent calendar last week. And this week, I discovered these amazing snowflakes, and have gotten myself a little addicted to making them. I wonder, is it the organised, control freak in me that loves the symmetrical yet uniqueness of each one? The level of excitement I have when unravelling one of these beauties almost makes me want to wet my pants. Ahem, did I really just say that? Ah, moving right along then. Anyhow, I found three great sets of instructions for the snowflakes, and ending up making a combination of 5-point, 6-point, and 8-point snowflakes. Who'd have ever known there was a difference?! I didn't. And a few different 8-points. Well it is here too. And we like it. We like it a lot. Don't get me wrong, I love a Kiwi Christmas. But there is something magical about having the best of both worlds too. I totally agree - the best of both worlds is awesome! 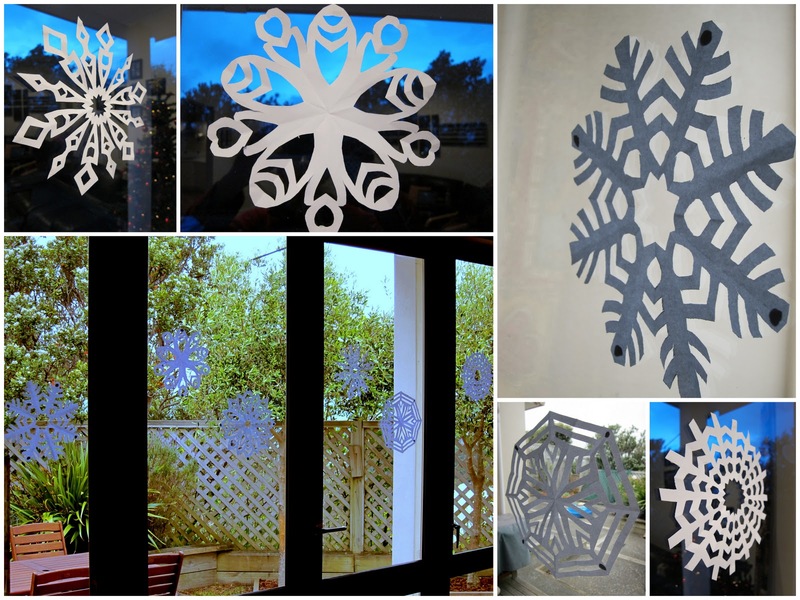 Love those snowflakes - will have to show my kids as they love making stuff like that. I do love our kiwi Christmas no matter how crazy it must sound to everyone. Lovely, lovely post and your decorations are beautiful. Those are the most professional looking snowflakes ever! Thanks for the link as I'd love to try those with the girls - will be nice to do in the middle of our winter too, as a 'Winter Solstice' activity too. I like your stars & trees too, in red & green. Haha! I love the wet your pants comment.... keeping it real baby!!! The one and only Christmas I spent in the northern hemisphere felt sooo wrong! I felt like I missed out on Christmas that year as it was so wierd and snowy and cold. Go figure, I guess it's what you are used to and what you remember from when you were a kid? I love this post! I've been thinking a lot about our unique take on Christmas Downunder... you have told it very well! 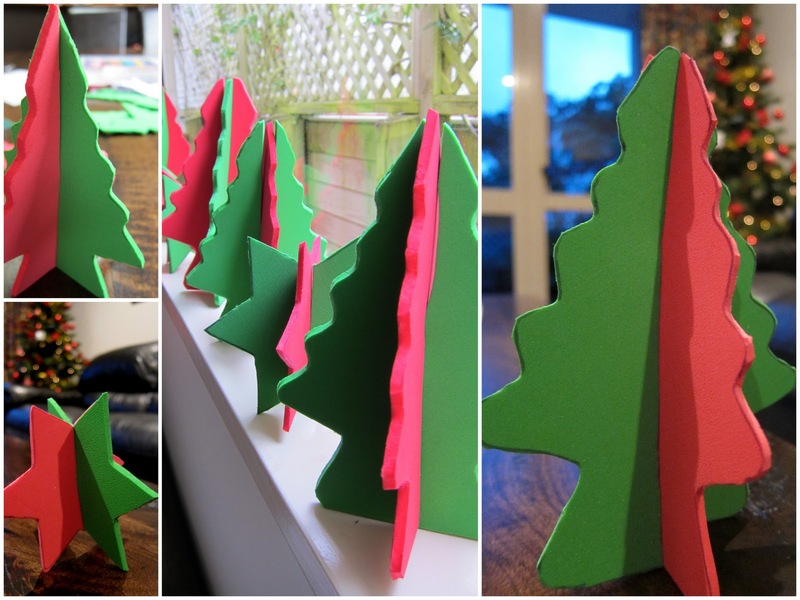 WOuld love you to link this up to my Christmas post linky!